Welcome to the description of the Arpana Hospital. The 2015 Annual Report of the Hospital is here. A walkthrough of the departments click is here. The brochure of the hospital is available here. Arpana Hospital's main mission is to provide quality health care, to maximum number of patients and at a cost affordable to patients, to make modern health care available, provide good doctors, a well trained staff, latest equipment and facilities at affordable rates, subsidized/free treatment provided to those below the poverty level, whilst moving towards sustainability by charging private patients, to subsidise for the needy and also actively encouraging use of Government services, wherever available. In households all over rural India, there are families living on meager earnings from sporadic agricultural labour or from low paid intermittent daily wage jobs, who are unable to obtain crucial medical treatment in times of crisis. Arpana Hospital was set up to fill this need in 1980 and for thirty years it has been a sanctuary for many who would otherwise have had no recourse to relief from illness. Patients come from over 1000 villages, knowing that here they will find very good health facilities and medical care as well as qualified doctors and staff who treat them with dignity and care. Specialty treatment to the poor is provided through Ophthalmology, Gynaecology & Obstetrics, General Medicine, Surgery, Orthopedic and Paediatrics Departments. Arpana Hospital also serves as a Training Centre, which invests rural communities with skills and knowledge for better health. Arpana Hospital is also the base for mobile health clinics and has been set up to provide care for the neediest patients, especially women, children and the elderly at free or affordable rates. It holds eye camps and medical camps in surrounding towns and villages. Here, primary health workers are given training inputs and midwives are encouraged to bring mothers for antenatal care and deliveries. A HELP DESK office has been set up in Arpana Hospital to provide an easy access point for patients requiring financial help. This office verifies papers and maintains proper records to make sure that every needy person is offered this service. RSBY: Arpana Hospital has also been empanelled to provide cashless indoor medical services to the National Health Insurance Scheme card holder. This is a Government scheme for the people living below the poverty line. 5 members of a family are provided medical health insurance of up to Rs 30,000/- per year. Many of these are patients who had been suffering from problems that required medical, or even surgical intervention, but had put off treatment because funds were not available. They are now benefiting from this scheme. The officials connected with this scheme come for surprise checks from Chandigarh and Karnal and they are extremely appreciative not only of the medical care being provided, but also of the hospital’s hygienic and caring environment and of our documentation and record keeping which has ensured the continuity of this scheme in this facility. Other Help: Arpana also is set up to meet the needs of those who have not been able to become part of the RSBY Government scheme, but cannot afford medical treatment. Thanks to generous donors, we are able to give free/ subsidized treatment to these patients who are often the most disadvantaged and vulnerable. 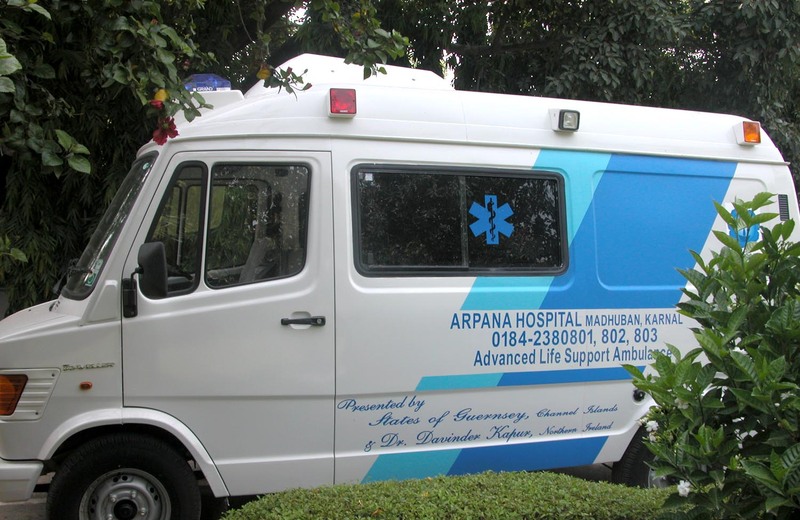 Arpana Hospital has started an ambulance service. There is a mobile number that is distributed in the villages for emergency calls. Guernsey has donated an excellent ambulance, the best in this area, and there are 2 others smaller vehicles as well. Ongoing training in ambulance care for Paramedics and Staff is being held by senior doctors and technicians three times a week for the new ambulance service, which has been particularly encouraged by Dr. Davinder Kapur. 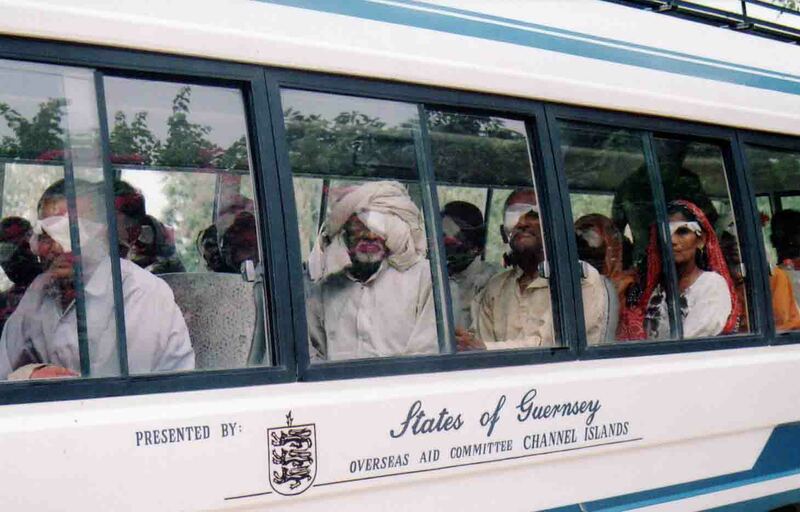 Prevalence of cataracts in this area is one of the greatest in the world. Seeing the plight of so many rural folk, especially as they become aged, Arpana set forth on a mission to eradicate preventable blindness in an ever-widening circle in Haryana and Western Uttar Pradesh. Ophthalmology is one of the busiest departments in the hospital. 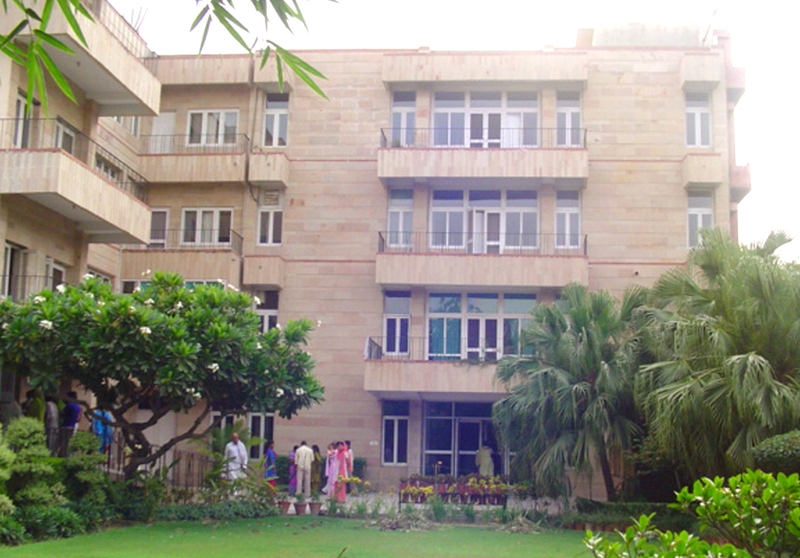 The Eye Department is headed by Dr. Mukul Sharma, M.S (Ophthalmology). The Ophthalmology Department treats patients of Cataract, Cornea, Glaucoma, Strabismus, Orbit, and diabetic retinopathy. Dr. R.I. Singh, Head of the General Medicine Department, has an excellent reputation for clinical diagnoses and caring treatment. This has brought a large number of patients to the hospital. He also has an outstanding record of treating heart patients, supported by the Hospital’s estimable facilities including the Treadmill Test, the Holter Monitor and the Intensive Care Unit. Arpana’s Intensive Care Unit is a fine example of bringing affordable health care to rural patients. 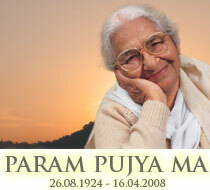 The patients prefer to come to Arpana Hospital which is familiar and closer to home. In addition, they have tremendous faith in our doctors. The Gynaecology Department is also one of the busiest departments. Dr. Anuradha Vilas Mahajan manages pregnancies and problems like infertility, recurrent abortions menstrual disorders, fibroids, prolapsed uterus, endometriosis, etc. Dr Tanu Goel not only treats children, but also counsels illiterate mothers about the care of newborns, monitoring their growth and the importance of timely immunizations. She stresses the importance of breast-feeding and the value of homemade weaning food. The Nursery is divided into a ‘clean nursery’ for non-infected babies, a ‘septic nursery’ for infected babies and a central monitoring area with a view on both sides and a feeding area. The Nursery cares for babies who are premature, who suffer from HMD, birth asphyxia, convulsions, jaundice etc. Dr. Vivek Ahuja MS (General & Cancer Surgery), joined Arpana Hospital in 2009. The Surgery Department has prospered since his joining the hospital. Dr. Davinder Kapur, a long time member of Arpana in Northern Ireland, brought two expert paramedics, Mr. Frank Armstrong, Mr. Mark Anderson and Dr. Rohini Sabharwal, to conduct a four days ‘Emergency Care’ workshop for the doctors, nurses and paramedical staff of Arpana Hospital as well as for Arpana’s rural health workers. This workshop was to train our personnel in trauma and medical emergencies efficiently and effectively. This hands-on experience was greatly appreciated by the participants. The team also conducted a workshop on the basics of trauma and life support for 30 staff of the Civil Hospital, Karnal. One of the participants, Dr. Satish K. Salwan, said, “This practically oriented workshop made it easy to learn… it helped remove hesitation and gave us confidenc.” Ongoing training in ambulance care for Arpana Hospital Paramedics and Staff is being held by senior doctors and senior technicians three times a week for the new ambulance service. The Department offers special rehabilitation services for sports and spinal injuries as well as routine cases like paralysis, sciatics, spondylosis, joint pains, cerebral palsy, chest physiotherapy to outpatients, inpatients, post operative cases and intensive care unit cases. Antenatal and postnatal classes were offered to pregnant women with physioball, Mat activities etc. Mrs. Mangla is also a qualified nutritionist and gave dietary advice to pregnant women, diabetics, etc. Dr. Queency Sharma, (BDS) Dental Surgeon performed root canal treatment, restoration, scaling, crowns, dentures, RPDs, extraction, X-rays, etc. Most of her patients come from the surrounding villages and from Haryana Armed Police Centre. Pharmacy Open 24 hours facilities is also available at Arpana Hospital. About 250 patients come daily for medicines. Open 24 hours a day, Arpana’s laboratory facilities seek to serve each patient. The lab is outsourced for greater professionalism.